← Should You Choose Black Magic Love Spells? Neo-paganism is the attempt to revive the polytheistic religions of old Europe. But how? Can one just invent or reinvent an authentic, living faith? Or are modern neo-pagans just engaged in elaborate role-playing games? 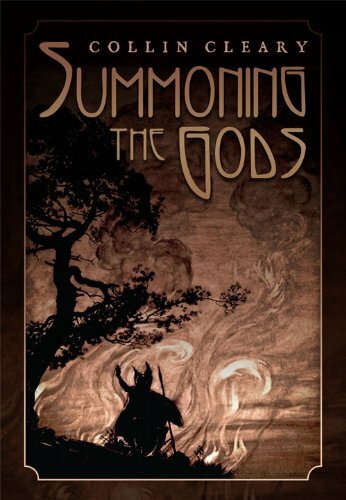 In SUMMONING THE GODS, Collin Cleary argues that the gods have not died or forsaken us so much as we have died to or forsaken them. Modern civilization-including much of modern neo-paganism-springs from a mindset that closes man off to the divine and traps us in a world of our own creations. Drawing upon sources from Taoism to Heidegger, Collin Cleary describes how we can attain an attitude of openness that may allow the gods to return. In these nine wide-ranging essays, Collin Cleary also explores the Nordic pagan tradition, Tantrism, the writings of Alain de Benoist, Karl Maria Wiligut, and Alejandro Jodorowski, and Patrick McGoohan’s classic television series The Prisoner. Cleary’s essays are models of how to combine clarity and wit with spiritual depth and intellectual sophistication.